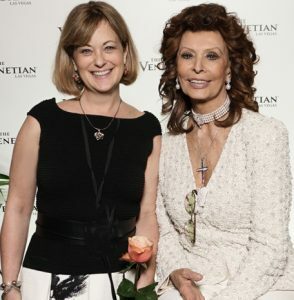 Learn Italian online with Melissa la studentessa Matta. 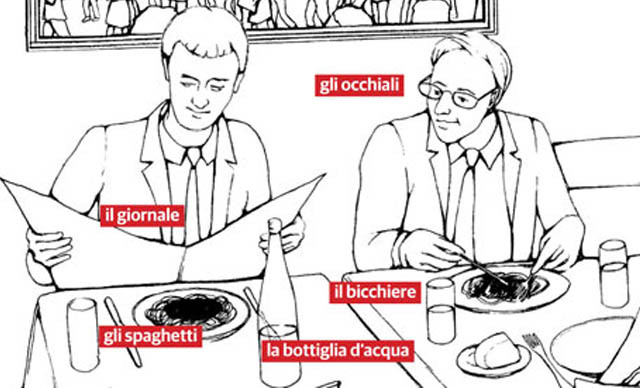 Here are some tips for improving your Italian. These are things that I do on a daily basis to practice my Italian language Skill. Even if you don’t live in Italy, it is possible to create your own immersion program following the tips below. Click on the pull down links under the LEARNING! TAB to discover schools and materials that are also available to you through this site at discounted rates. • How Much Time Do You Spend on Italian Every Day? To speak a language well, it is extremely important to do some “active listening” in order to train your ear to the sounds and the rhythms of the language. Repubblica TV Watch short news videos and current events in Italian, streaming live on web, accompanied by short written descriptions. Great way to practice audio and reading skills! 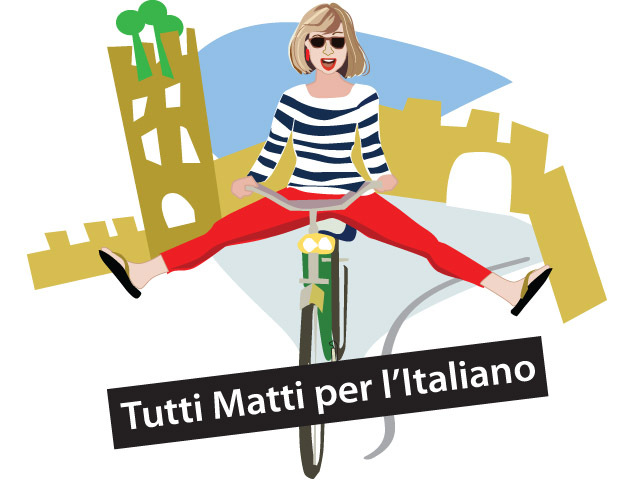 Tutti Matti per l’Italiano: Improve Italian language skills with this podcast that is presented in Italian and features stories, clips & conversations with native Italian speakers. It explores all aspects of Italian culture, music and current events as well as language learning tips. Parliamo e ascoltiamo la lingua poetica with Melissa la studentessa matta. The podcast is available on the Matta Blog and on itunes. You can now find the “Tutti Matti per l’Italiano” podcast also on itunes! Finestra sull’arte (Advanced) Learn about famous Italian artists and to understand Italian Art History better. Reading improves your vocabulary and grammar. Try to read without stopping to look up every word you don’t know, but rather glean the meaning from the context of the paragraph. I suggest selecting books you might already be familiar with in English. 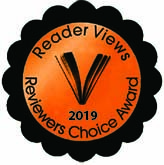 Harry Potter books are great, as well as mystery novels that have plots that keep you engaged and interested. Children’s Library : This site has 30+ free children’s books to practice with if you’re an upper beginner in Italian. Il Post : Il Post a news source that features current events in Italy and abroad in categories like politics, sports, entertainment, and culture. Studentessa Matta YouTube Channel Welcome to my channel! 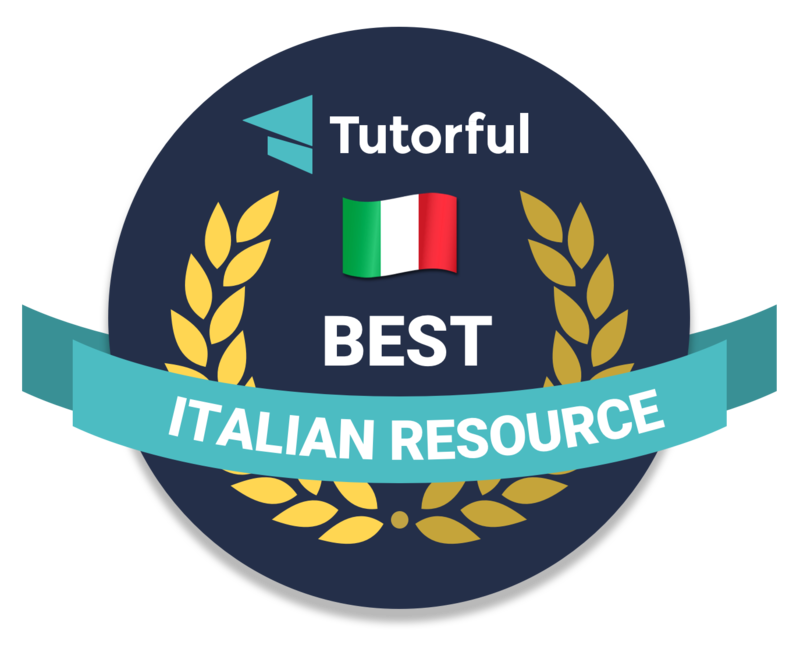 Here you will find short messages in Italian, Italian song playlists and videos made by my Italian friends – all for your viewing pleasure and to help you with the Italian language learning and to learn more about Italy! Grammatica caffè great little videos that are presented on Alma.tv that written and produced by Roberto Tartaglione, director of Scudit, scuola d’italiano in Rome. In the time it takes to brew and espresso in his Moka caffettiera Roberto doles at an interesting and amusing language lesson. Two thumbs up! Sgrammaticando : Grammatica Italiana YouTube Channel These videos made by an Italian communications major focus on Italian Grammar. The project was started with focus audience being Italians, but it is a great site for Italian students as well! Italiano Automatico : Learn Italian with Alberto! Italian StackExchange : Italian Language Stack Exchange is a question and answer site for students, teachers, and linguists wanting to discuss the finer points of the Italian language. It’s 100% free, no registration required. Giallo Zafferano : Italian site for recipes – all my Italian friends use it! Memrise is an online learning tool with courses for many languages created by its community. Memrise uses flashcards augmented with mnemonics. Post I wrote about Memrise: It’s raining Mems! Anki is a program which makes remembering things easy. Anki is a spaced repetition flashcard program. You can create your own mnemonic cards adding images found on Google image search and sound bites using FORVO (see below) to enhance your audio retention. Lang-8.com Language exchange social networking website geared towards learners. Babbel is an online language learning software and e-learning platform available in various languages. Interactive courses offered on the babbel.com web page can be completed online without installation. There are beginner and grammar courses, vocabulary lessons, as well as courses with tongue-twisters, sayings and songs. Reverso Context: The best way to translate and learn millions of words and expressions. Contains a huge database of real life examples and a powerful linguistic search engine. Includes pronunciation, phrasebook, flashcards and more. Effective and educational. Free and available in a wide assortment of languages – most importantly Italiano! Dizy Italian Dictionary Il dizionario pratico con curiosità e informazioni utili / Italian dictionary and so much more! Lots of information, pictures, descriptions and links! Let’s face it. No one likes the sound of their own voice! Horrors of horrors if you record your own voice in another language! But seriously, making a recording of yourself speaking in the target language can be quite effective and illuminating as you learn to self-correct your own speech. You can simply use your iPhone or iPad to record yourself reading from a book or newspaper. Or record a daily “to do” list in Italian on your mobile phone. A private tutor will also help with enunciation, word emphasis, and phonic recognition. Cyber Italian : CyberItalian offers varying types of instruction: Self-Study Courses, Tutored Courses, Private Lessons & Italian Coaching Programs. Facebook Like & join Italian Facebook pages and find other Italiophiles like yourself. Check out the Studentessa Matta Facebook Page and join our Italian community and make some new chat pals. Live Mocha Explore the world through practice and conversations with millions of people from over 190 countries. 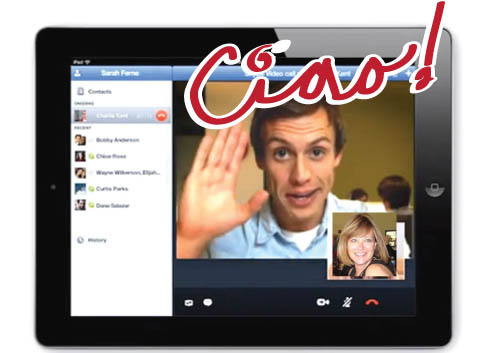 Live Mocha has it’s own chat software, so you don’t need Skype to use Live Mocha. Writing in Italian on a daily basis is a great way to keep the connections and synapses in your brain alive and well. It reinforces spelling and grammar constructions. Start by simply writing a sentence a day. Facebook Like & join Italian Facebook pages and comment in Italian. Check out the Studentessa Matta Facebook Page where I am post daily news and special interest stories, language tips, expressions, fun photo, recipes and current events. 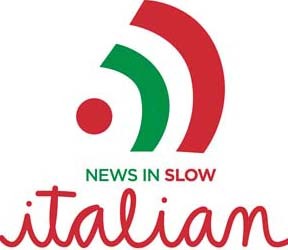 This is a great launching point to articles in Italian to read and keep up with all things Italian. For an EXTRA good time, you can even change your Facebook language settings to “Italian”. Practice by responding to posts! Mi piacerebbe!!!!! Texting Send messages on your mobile phone to friends in Italy and other countries for free! To make message sending in Italian even easier activate the Italian keyboard/spell check on your phone. 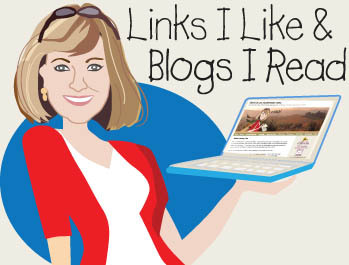 Word Press Blog Take a page out of my book and start your own Italian language blog! Let me know and I will come and be a fan! • Keep an old fashioned journal Maintain a handwritten or digital diary of your daily activities. Great way to catalogue all the new words you learn each day. 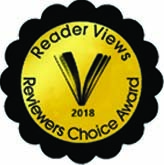 • Unleash you inner expository writing skills Make up your own short stories in Italian. Write a review of a movie. Read an article in an Italian newspaper and write an editorial. Compose a poem. Wherever I go, my Italian radar is always active and functioning. Whether I am at the park, watching my son’s soccer game, or shopping at the supermarket, I am tuned in and listening for spoken Italian around me, ready to introduce myself and have a conversation. Keep your language radar up and running every day! Meetup groups that meet on on a weekly or monthly basis. Simply visit the site and search for a location nearest you. If the Meetup is too far away, do what I did start your own! AFS Study Abroad Intercultural Programs AFS arranges exchanges with students from more than 90 countries, and countless other exchange organizations exist, so you’re bound to find a speaker of your language of interest! Traveling to the target country is always a great way to get some practice in speaking the language. Since 2012, I have co-lead 6 language immersion programs in Italy. I partner with Italian schools and event planners to create unique learning experiences, including working with local pastry makers, olive oil producers, and wine makers. You will be amazed how much your pronunciation will improve when you are traveling with like-minded language learners. Laughter, wine, and camaraderie are wonderful catalysts for loosening up tongues, starting conversations and improving fluency. 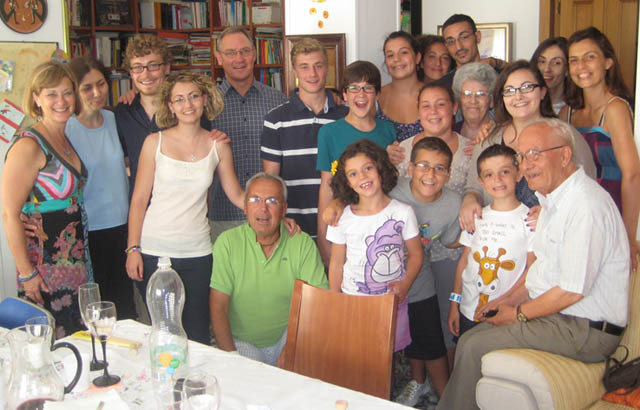 Studentessa Matta Italian Language Immersion Trips Small group travel experience (up to 10 individuals). 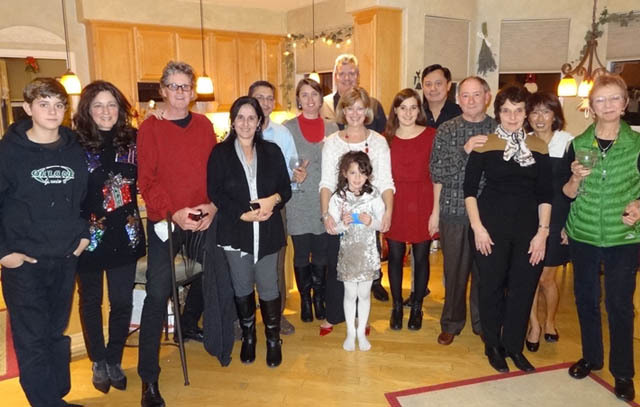 Travel with Melissa and her Italian co-leaders/Italian Schools to immerse in language and culture. 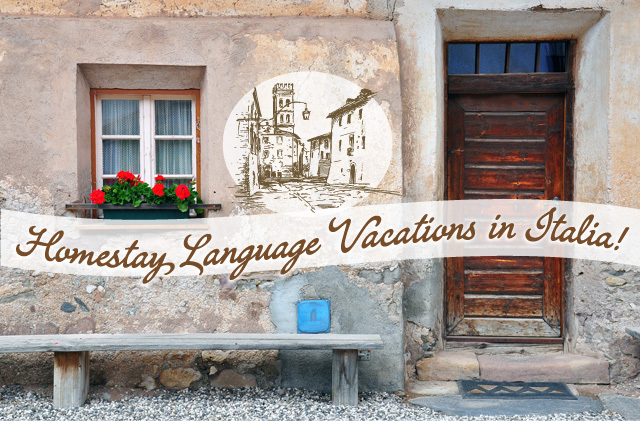 Morning language classes and afternoon excursions. 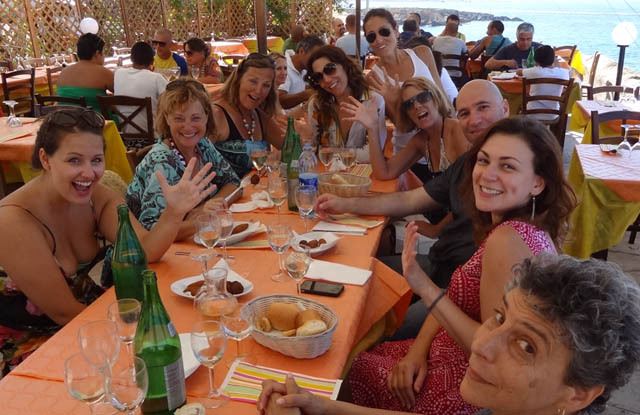 Join us in Rome July 5-14 and Lucca September 11-22. Cyber Italian – CyberItalian offers varying types of instruction: Self-Study Courses, Tutored Courses, Private Lessons & Italian Coaching Programs. ItaLingua Located in San Francisco – take classes or participate in the Italingua website that functions as a forum learning Italian. Take a look at Francesca’s Hints.